I didn’t recognise you in that media! Apparently we all lie on our CV or Resume. I never did, but then I was brought up to believe that my sins would find me out, so I never took the chance. It would have been tempting to award myself a PhD in Business Management in the hope of landing a job paying big bucks, but I always knew that sooner or later, someone would come along and ask me that one deep question that would reveal my ignorance in all its glory. So I never lied on my CV. But just like trolling, it seems we can often leave the straight and narrow behind once we get close to our keyboards. Bending the truth on your social media profile is okay, even desirable. Don’t get too carried away–the internet really isn’t as anonymous as we like to think. Out there somewhere are all the people who spotted that you had ditched another class back in the day, or that you got a terrible grade for that science homework, and they will tell all at the least opportune moment. So keep yourself and your reputation squeaky clean. Don’t be tempted to exaggerate, let alone downright lie. There is no bigger fall than a public one, especially if you are hoping to use social media to market yourself for work or online business. Keep to the truth. Don’t say you are a New York Times bestselling author if only your mum and your cat have read your book. Don’t post a profile pic of yourself that is thirty years/300 pounds out of date. Tell us what you have done with your life, we will understand if it’s not all been unalloyed success, we’ve all been there. Skate over the grimmer details by all means, but keep to the truth and don’t bluster or make excuses. Don’t spam. Don’t batter people with ‘buy my stuff’ messages and never, never, never put someone down if you don’t want it done to you. Thanks for reading. Rant over. 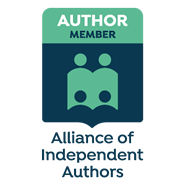 ← A couple of simple tools to help the Indie author.